Traveller by u-he is Soundware (e.g. samples or presets that load into other products). Traveller invites sonic exploration with this collection of rich, imaginatively designed sounds. Move between experimental and organic, ambient and sci-fi, abstract and rhythmic. 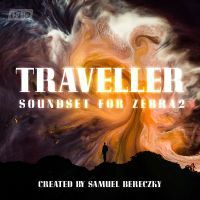 Traveller forges a path between early electronica/ambient and Bereczky's personal background in orchestral soundtrack. This 122-preset collection offers an eclectic range of versatile and useful sounds: basses, arpeggios, pads, drones, keys, brass and more. 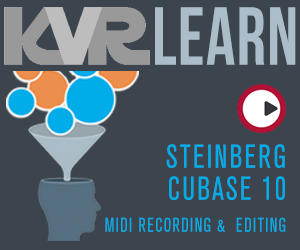 Each preset includes performance control as well as X/Y pad assignments for immediate sound warping. Move between worlds with Traveller. Samuel Bereczky is a composer, sound designer and cello player with a background in orchestral symphonic music. He has performed with orchestras recording film scores by such legends as Ennio Morricone and Tamás Vásáry. Full preset list can be found in the 'Read Me' available on the Traveller page. Listen to more sound examples and purchase Traveller on the u-he website.